if you can, enjoy it. 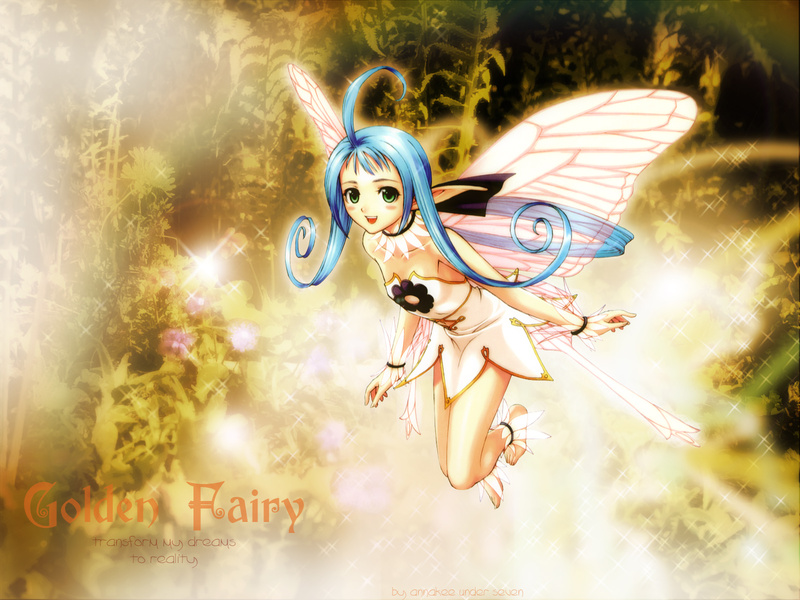 I love the fairy and the bg! yes I've always really liked that cute scan. and nice bg. good work! pretty cool....love the color, it gives a wonderful feeling...angelic as you wanted aniki....just angelic. Wonderful wallapaper. BG colors are well fit on fairy theme. wow! excelent work ^^. I love the scan ... and the background is really great. Congratulations Annakee. 0hh! esta bastante lindo el wallp. eso si la letra donde dice "golden fairy" no la resaltaste ni nada..esa era la ideA? aunque = se puede dar su efecto luminosidad para que se vea + bonita sin pasar necesariamente a 1er plano...por que al ifnal el papel protagonico se lo lleva lejos la hada. Pretty colors, it seems to me if that the image this a little small, is to seem mine. Perhaps a little but great. Or he will be something to if like a visual effect? You used good effects at the background! me encantan las Hadas, y esa combinación de colores esta genialisisima, te felicito por ese wall, buen trabajo!